I am very sorry to report that Teddy Charles passed away on April 16, 2012 in Riverhead, NY. He was 84 years old. Teddy Charles (b. Theodore Cohen, 1928), along with Milt Jackson and Terry Gibbs, extended the legacies of Lionel Hampton and Red Norvo and established the gold standard for modern jazz vibraphonists. Charles was also an innovative composer and arranger whose recordings were some of the most forward looking and highly regarded of the 1950s, especially his Tentet sessions for the Atlantic label in 1956. His versatility is demonstrated by the broad spectrum of musicians with whom he worked during his career ranging from jazz luminaries such as Charles Mingus, Miles Davis, and Gunther Schuller to rhythm and blues stars including Aretha Franklin, Chuck Willis, and Earl Bostic. Although I have been unable to obtain session details for the discography, Charles recalls doing many recording dates with pop, soul and rock artists including Bobby Vinton, Dion and the Belmonts, Paul Revere and the Raiders, Paul Simon, Diahann Carroll, Betty Barney and organist Ethel Smith. 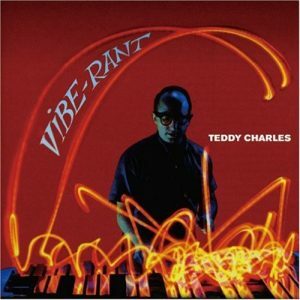 Teddy Charles also produced and supervised many recording dates involving artists such as John Coltrane, Zoot Sims and Howard McGhee, mainly for the Prestige, Bethlehem and Warwick labels. In the 1960s, Charles returned to his other passion in life, sailing. He currently resides in Riverhead, NY (after many years in Greenport, on the north fork of Long Island). For years, he was occupied with the maintenance and operation of the Mary E, an historic 72-foot clipper schooner built in 1906. He sold that vessel recently (January 2007) and now conducts tours of the Peconic Bay estuary on the historic skipjack Pilgrim. 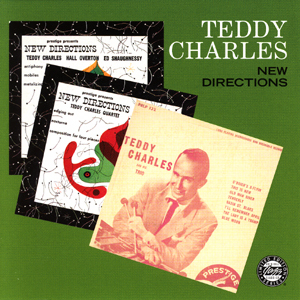 An article written by me, entitled “New Directions Revisited – The Rich and Unique Legacy of Teddy Charles” was published in the July/August, 2000 issue (No. 292) of Coda Magazine, pp. 22-29. The text of this article (without the selected discography, now superseded by the complete discography above) can be accessed in English and Spanish (thanks to Fernando Ortiz de Urbina). I am grateful to the folks at The Rutgers Institute of Jazz Studies and to Bill Damm, Sid Gribetz, Jim Harrod, Alois Maul, John Pickworth, Michel Ruppli, Guy Kopelowicz, Cees Mentink, Dan Skea, Uwe Weiler, Pierre-Marie Le Conte, Mark Cantor, Luke Kaven, Chris Byars, Bob Hovey, Erin Nekervis, Danny Flam, Doug Pomeroy, Bob Sunenblick, Richard Vacca and T.P. Uschanov for providing source materials and information. I look forward to hearing questions and/or comments regarding my research.